This week I am using the Medicine Card deck by Jamie Sams and David Carson. This deck comes from the perspective of the Native American teachings. I will be uploading this reading to YouTube which will take days I think, with the internet connection that I have, but so be it, it will be there at some stage. Meanwhile I am putting it in writing too. 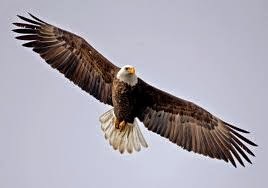 The first card that came forth was the Eagle and of course many of us know this bird as an animal totem flying above and seeing a higher perspective. His message is Spirit – connection to the Divine – our ability to live in the realm of Spirit and yet remain connected and balanced within the realm of Earth. It is about seeing the bigger picture of life. It asks you to soar above the mundane levels of your life and see the situations that are presented to you from the level of the soul. Sometimes when we are faced with situations this is the only way to make sense of them, seeing them from the higher perspective. In the old way of being, in the old way of seeing, thinking, learning, being taught, the situations just don’t make sense in the old way of seeing them. Things can become much clearer when looked at from a soul level. This week, whatever situations are going on in your life, try to see them from a soul level. What have I to learn from this? What is my soul’s purpose in this? Have I to learn or teach in this situation or both? 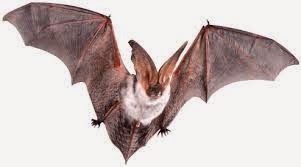 The Bat is the second card and his message is Rebirth – death of the old way of being, so that the new way can be brought through. Letting go of old ways of thinking and once again, seeing situations from a higher perspective. There are many changes happening in people’s lives at this time, lots of letting go of seeing life in the old way which is difficult when the old is what is looked on by many, as “normal” and “right”. On a larger scale, traditions, religions and governments are being rocked too, so that change can take place. The bigger picture to all of this of course is the evolution of our planet, the healing of the past and moving forward into a more gentle, loving way of being. 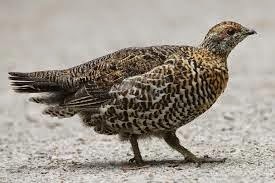 Our third animal is the Grouse. He speaks about the Sacred Spiral. This is about how we see ourselves going through life. How we see our movement on our life’s paths. Never, ever see yourself as going backwards. You are always moving forward, but it is a circular movement, around and up!! Sometimes it might seem as if you are falling back into your old ways, but they are just little tests to show you how far you have come and what you have shed already and that there may be just a little more letting go to do. After each of these little re-visits it is like the snakes and ladders game – you go up the ladder to another level!!! So it is all good and for the highest good of all, even if it is a little turbulent.